Hyundai has this week released an updated tablet in the form of the Hyundai T7S, which is powered by a Samsung Exynos 4412 quad-core processor, supported by Mali 400 graphics. The Hyundai T7S is fitted with a 7 inch, 1280 x 800 pixel display, and has built on the technology and specifications used in the original Hyundai T7S Android tablet. However the new Hyundai T7S is fitted with 2GB of RAM and 16GB of storage, doubling what was provided in the first device, adding an additional $20 to the Hyundai T7S. 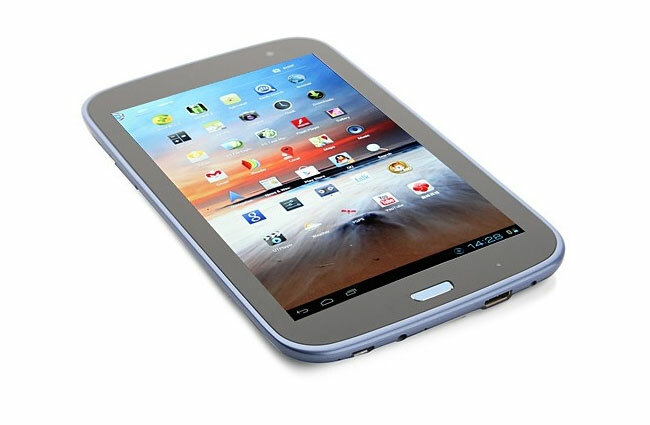 Other features of the Hyundai quad core Android tablet include a 3300mAh battery providing up to 5 hours of use says Hyundai, as well as coming supplied running Google’s Android 4.0 Ice Cream Sandwich (ICS) operating system. The Hyundai have fitted it with a 0.3 megapixel front facing camera for video calling, together with a 5 megapixel rear facing for video and photographs. The Hyundai T7S is now available from online stores such as Boxwill, Pandawill, AliExpress and Merimobiles for around $186.